The terrain covered in our Craigieburn Adventure can be considered predominantly advanced to expert. 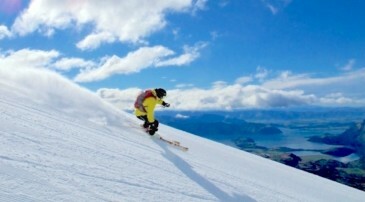 There are a small number of slopes on a couple of ski areas (Porters and Mt Cheeseman in particular) that are suitable for beginners or those less confident, however, as the majority of the clients on our Craigieburn Adventure are relatively advanced we do not spend much time on these slopes. There is a larger amount of intermediate terrain with most areas catering fairly well to this level, and allowing good progression for you to step up and improve your skills. The remainder of the terrain can be fairly steep with narrow chutes and gullies being one main feature of this area. A lot of the best terrain is only accessible by hiking, so if you book a spot on the Craigieburn Adventure you should definitely expect some sore legs!! However, the views, and the skiing (or snowboarding) back down, are definitely worth the pain! 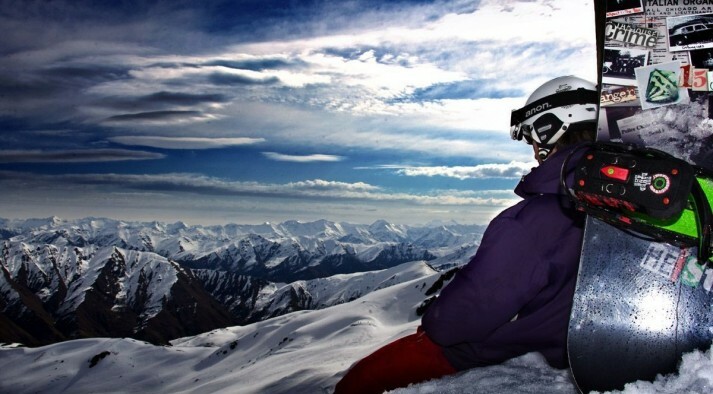 If you have ridden or skied the South Island of New Zealand before, you can expect much of the Craigieburn terrain to be similar to the Saddle Basin in Treble Cone. A large proportion of the terrain is rated black with Craigieburn Valley boasting double and triple black diamond runs…and yes – they mean it! Porters and Mt Cheeseman have T-bars, so if you have ridden a T-bar or Poma before without difficulty, you will be fine on these. They are not terribly difficult to learn and weather permitting, we always head to either of these ski areas first to get some practice before hitting the nutcrackers! All of the other ski areas covered on this tour utilize nutcracker towropes to get you up the hill. Many people may have learned on a tow-rope that you grab hold of and let go when you get to the top, usually not too far away from the start. A nutcracker is an ‘improved’ version of the basic rope tow with a couple of major differences. Firstly they are much longer and steeper. In order to compensate for this, the rope is put on pulleys to ensure that it doesn’t drag on the snow all the way up. Because the rope is now going through pulleys every few metres it is impossible to hold on to the rope with your hands (they would get mashed up pretty easily). Therefore all skiers and riders wear a harness that has a metal ‘nutcracker’ attached to it. The nutcracker is attached to the rope, which allows it to pull you up by the harness. The metal nutcracker (which looks just like the old fashioned nutcrackers used to open walnuts) now goes through the pulleys instead. In our experience most skiers that are an intermediate level or above have little problems with using nutcrackers. It may take a couple of attempts to get the hang of it but you should be able to get to grips with it fairly quickly. Snowboarders find nutcrackers much, much, more challenging than skiers. This is for a couple of reasons. Firstly, snowboarders are unable to move their legs independently meaning that it is much harder to balance while going up the rope line than for skiers who can use their legs independently to re-correct balance. This is also the reason why snowboarders spend so much time on their backsides in comparison to skiers! 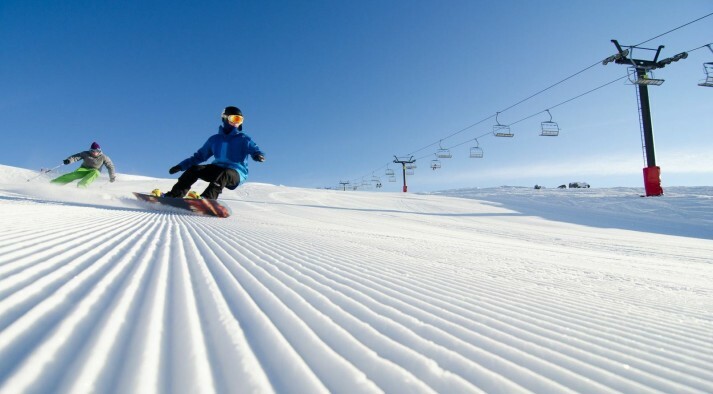 Additionally, snowboarders can only ride up one side of the tow-rope. This means that if the rope is on the right hand side it is easier for those riders that are regular to get up than goofy riders and vice versa. If the rope is on the opposite side to what is natural for you, then you either have to ride up switch (back foot first), or you will have to ride up with your back to the rope and pulleys – both of which are challenging to say the least! To make things even more interesting, not all ropes are on the same side at any one area. So you may have succeeded riding up the first rope, only to find that you now need to learn how to ride up the opposite way for the next tow. It can be a very frustrating process for snowboarders learning how to use nutcrackers. In saying that however, there are people that succeed on their first or second attempt, while others may not master it at all. Nutcrackers are the reason why we recommend this tour for advanced riders only. If you are a very determined person who is physically fit (it can be quite draining), and doesn’t give up easily, it should take around half a day to master the nutcrackers. If you easily get frustrated and tired then we would suggest that nutcrackers might not be for you! 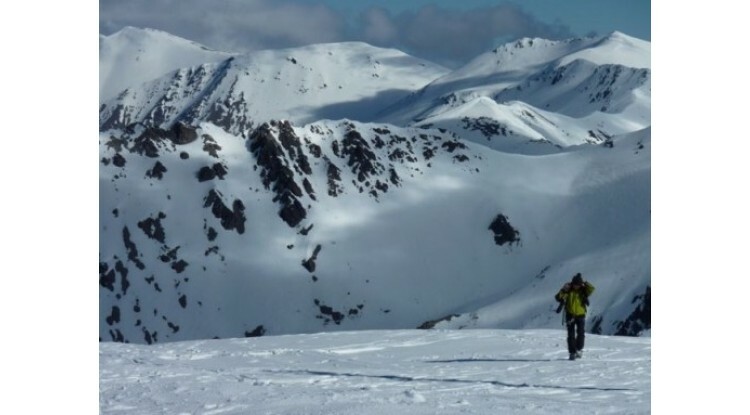 Snow and weather conditions on the Craigieburn Adventure can be extremely varied. You may have bluebird pow for the entire week, or you may be unlucky and have rain, snow, wind, and zero visibility. The majority of the ski areas here are ungroomed, so on-snow conditions vary considerably from thigh-deep powder, to ice, crud, slush and everything in between. Be prepared for anything and everything! A FEW OTHER THINGS TO CONSIDER! Although only a one hour drive from Christchurch, the Craigieburn Valley is extremely isolated. There are no shops, gas stations, restaurants, or bars in Castle Hill Village where we usually base ourselves. This means that all food and drink purchases are made after you are picked up from your plane in Christchurch. The ski areas do have food available for purchase during the day and may range from something as simple as a pie and a coke at one area, to panini and beer at another. At least two day huts are located at the TOP of the nutcracker meaning that you will need to take some snacks with you to keep you sustained while you are practicing getting to the top! Remember that you may be one guest in a group of six or seven. Our guides do as much as possible to help you get up the nutcrackers, but if you are unable to master the nutcracker it is important to be aware that there may be six other people waiting at the top for our guide to show them around the ski areas.